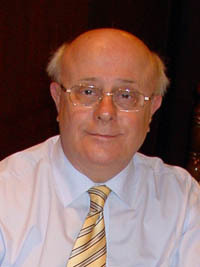 Bernard Roberts has long been acknowledged as one of Britain’s leading pianists. His repertoire ranges from the early classics to the great works of the 20th century and his profound Beethoven interpretations have received particular acclaim. The Classic FM hit parade recently featured his highly praised recordings of the complete Beethoven Piano Sonatas which are available on compact disc on the Nimbus label. He has performed at all the major British festivals and has been associated with the Dartington International Summer School for many years. His international career takes him throughout Europe, America and the Far East and he has given masterclasses at many leading festivals including the Van Cliburn Piano Institute in Fort Worth Texas. Teaching and performing commitments takes him regularly to Denmark and Germany. In addition to his recital work Bernard Roberts often appears as concerto soloist with leading orchestras here and abroad. He is by now well known to Radio 3 listeners and he has been the subject of a 40-minute television documentary made for BBC2 by the director Mischa Scorer. Time is set aside each year for chamber music and he particularly enjoys performing the piano trio repertoire with his sons Andrew and Nicholas. 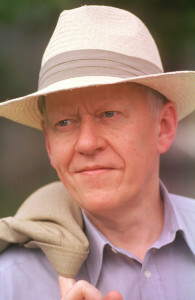 Philip Fowke is one of Britain’s most distinguished pianists. His appearances with leading orchestras in the UK, together with his many broadcasts and recordings have earned respect and admiration internationally. His outstanding musicianship is acknowledged by the many orchestras and conductors with whom he has worked including Vladimir Ashkenazy, Tadaaki Otaka, Sir Simon Rattle, Gennadi Rozhdestvensky, Yuri Temirkanov and Klaus Tennstedt. Philip Fowke, Senior Fellow of Keyboard, Trinity College of Music, gives regular masterclasses and has been invited to adjudicate on panels for international competitions. In 2007 he will be a tutor at the International Hereford Summer School as well as at Chethams Summer School He is a member of the London Piano Quartet together with Nona Liddell, violin, Elizabeth Turnbull, viola, and David Kenedy, cello, all professors at Trinity College of Music. They have recorded music by Cyril Scott and by Alan Bush both receiving excellent reviews. As a concert artist Murray McLachlan has received outstanding critical acclaim for intelligent and sensitive interpretations and superb technical ability. His prolific discography has received long-standing international recognition and includes over thirty commercial recordings, including the complete sonatas of Beethoven and Prokofiev and many rarities. McLachlan’s repertoire includes over 40 concertos and he has appeared as soloist with most of the leading UK orchestras. His recognition has been far-reaching, bringing many invitations to perform abroad. In recent seasons his engagements have included performances in the USA, Scandinavia, South Africa, Poland , Byelorussia and Norway. In 1997 he was awarded a knighthood by the Order of St John of Jerusalem in recognition of his services to music in Malta. In 2003 he performed the complete cycle of 32 Beethoven Sonatas to critical acclaim in Manchester, and in 2004 his Wigmore Hall Erik Chisholm Centenary Recital and subsequent national tour attracted superlatives in the national press. His intense schedule continued this year with a ‘Shostakovich Centenary Recital tour’, sponsored by the UK Shostakovich Society and including 15 concerts all over the UK. This included a return to the Wigmore Hall in September. Murray McLachlan has given first performances of works by many composers, including Martin Butler, Ronald Stevenson, Charles Camilleri, Michael Parkin and even Beethoven! Recordings of contemporary music have won numerous accolades, including full star ratings, as well as ‘rosette’ and ‘key recording’ status in the latest Penguin Guide to CDs, and ‘Disc of the month’ and ‘Record of the month’ in ‘Music on the web’ and ‘The Herald’.. 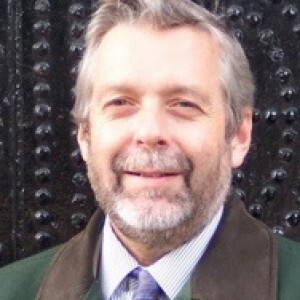 He is Head of keyboard at Chetham’s school of Music and tutor at the Royal Northern College of Musc in Manchester, as well as Artistic Director of the Chetham’s International Summer school and festival for Pianists, an event which attracts outstanding musicians annually from all over the world. John Barstow studied piano and composition at the Royal College of Music with Cyril Smith and Bernard Stevens, winning all the major awards for solo and concerto playing. In 1961, his winning of the first NFMS Award, along with his Wigmore Hall debut, launched an international career. The Times reported the “debut of a fine British pianist – cause for patriotic cheers! His Promenade debut was made playing Rachmaninoff’s Second Concerto. He plays a notably wide-ranging repertoire, from Byrd to Boulez, and his career has included several first performances. He has broadcast widely, and travels extensively giving masterclasses and serving on international piano juries. 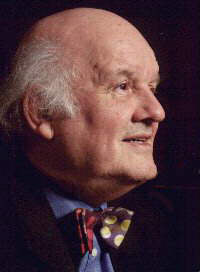 He has been a Professor in the RCM for over 40 years, and was elected a Fellow of the College in its centenary year. Included in a long list of distinguished former students is Barry Douglas, outright winner of the 1986 Tchaikovsky Piano Competition in Moscow. 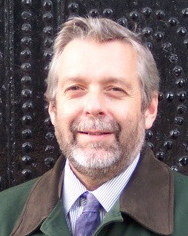 John Barstow was appointed MBE in the 2006 Queen’s Birthday Honours, for services to music education. Known internationally for over three decades as a teacher and concert pianist, Richard McMahon now heads the keyboard department of the Royal Welsh College of Music and Drama. As a boy growing up in the North of England, his first studies were with Ella Pounder, herself a student of the acclaimed pianist Solomon. Unusually, he had gained the LRAM and ARCM Performing Diplomas whilst still at school before continuing his studies at the Royal Academy of Music with Gordon Green. He was awarded the prestigious Recital Diploma in 1970 having previously received a BMus degree from the University of London in 1968. He also received various scholarships that funded further study, now in Paris, with the distinguished French pianist Vlado Perlemuter. Perlemuter had studied with Ravel and Richard used this opportunity to make a special study of this composer`s repertoire as well as music by the other French masters as well as the works of Chopin. His solo career also began at this time and was marked by succesful London debuts followed by concerts throughout the UK. His many solo recordings for the BBC ranged through a wide repertoire and have included rarities such as the bagatelles of Daniel Jones, the Bridge Sonata and the first Tippett Sonata as well as the three Sonatas of Hindemith paired with the last three Sonatas of Haydn. He also made the first broadcast in Britain of the Concerto for piano and orchestra by Michael Torke Bronze. Whilst at the Academy, he met Anne Shasby and forming a piano duo as students, they found immediate success after Wigmore and South Bank recitals featuring Stravinsky`s formidable arrangement of `Le Sacre du Printemps` for 4 hands. Concerts throughout the UK and innumerable broadcasts followed and were to continue for over a decade, including television appearances, Promenade concerts , appearances at all the major London venues working as a duo and with celebrated conductors and orchestras throughout the UK and overseas. In this time they performed and recorded almost the entire repertoire for two pianists. The `70`s also marked the beginning of Richard`s long association as a teacher with Cardiff and Wales and he has made his home in Cardiff since 1975. 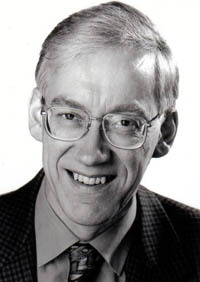 He was for many years on the staff of University College before taking up his present position at the RWCMD in 1996. His teaching life has now also taken on an international dimension involving him in adjudicating and master classes at home and overseas as well as teaching and administrating hopefully one of the more enterprising departments in British conservatoires. Since the `80`s he has also been known as a performer in duo with Martin Jones. Their two piano CD`s of the works of Percy Grainger and the complete Rachmanoinoff were acclaimed by the critics as was Richard`s solo recording of the complete piano works of Chabrier. He also regularly partners James Clark who is the Concertmaster of the Philharmonia as well as many of the distinguished instrumentalists who regularly visit the RWCMD. He visits Singapore twice a year where he moderates the BMus Degree course at the NanYang Academy of Fine Arts and most recently he has visited and taught in the Conservatoire at Shenyang, Northern China and the Conservatorium in Newcastle, New South Wales in Australia . 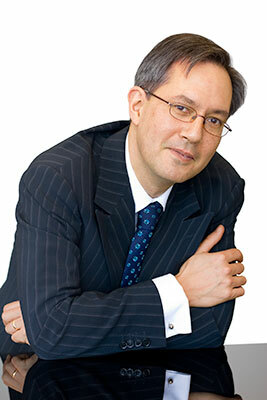 He is also the musical advisor and chair of the jury for the Newport International Piano Competition. Andrew Ball studied piano with Kendall Taylor at the Royal College of Music, as well as taking a First in music at The Queen’s College, Oxford. A busy and esteemed performing career has always shown a wide-ranging and innovative approach to repertoire. Highlights have included Messiaen at the Henry Wood Proms, the complete sonatas of Tippett (which he studied with the composer ), and the British premiere of Sofia Gubaidulina’s Piano Sonata at the Bath Festival. More recently he performed in Stravinsky’s Les Noces at the Barbican under Valery Gergiev, and recorded 16 newly commissioned songs by contemporary british composers for NMC. He was Head of Keyboard at the RCM from 1999-2005, and was made a Fellow of the college in 2205. He still has a busy teaching schedule there, and also gives masterclasses around the world, most recently in Spain, Germany, Hong Kong and Taiwan. He has been on many competition juries, both in the UK and, recently, in Dresden, Amsterdam and New Orleans. Andrew Ball a fait ses études de piano avec Kendall Taylor au Royal College of Music à Londres et il a eu sa licence en musique avec mention très bien à Queens College Oxford. Au cours de sa carrière distinguée il a toujours choisi un répertoire varié et une approche pleine d’initiative: il a joué Messiaen aux Promenade Concerts à la Royal Albert Hall à Londres, toutes les sonates pour piano de Michael Tippett (qu’il a étudiées avec le compositeur), et il a donné la première britannique de la sonate de piano de Sofia Gubaidulina au festival de Bath. Parmi ses engagements récents il a joué dans Les Noces de Stravinsky sous la direction de Valery Gergiev à la Barbican Hall à Londres, et il a enregistré une collection de chansons commandées de compositeurs britanniques contemporains. De 1999 à 2005 il était directeur des études de piano au Royal College où il est encore professeur. Il donne des cours de maître partout dans le monde, récemment en Espagne, en Allemagne, à Hong Kong et à Taiwan. Il a été membre du jury pour plusieurs concours internationaux en Grande-Bretagne et dernièrement à Dresden, à Amsterdam et à la Nouvelle-Orléans. Martin Jones has been one of Britain’s most highly regarded solo pianists since first coming to international attention in 1968 when he received the Dame Myra Hess Award. The same year he made his London debut at the Queen Elizabeth Hall and his New York debut at Carnegie Hall, and ever since has been in demand for recitals and concerto performances on both sides of the Atlantic. He is a prolific recording artist and his many discs for Nimbus Records include the complete solo piano works of Mendelssohn, Brahms, Debussy, Grainger, Szymanowski (voted Best Instrumental Recording of 1996 by the Spanish magazine ‘CD Compact’) Stravinsky, Korngold and the sonatas of Alun Hoddinott. He has recently recorded several Spanish piano masters and Volume 2 of this series received the 2000 Classical Indie Award from the Association for Independent Music in the USA. The soundtrack of the film ‘Howards End’ features Martin Jones performing Grainger’s Bridal Lullaby and Mock Morris. He has also recorded Grainger’s Tribute to Foster conducted by John Eliot Gardiner for Philips, Richard Addinsell’s Warsaw Concerto for ASV, a recital CD with horn player, David Pyatt, for Erato Disques, and Reger’s Clarinet Sonatas with Anthony Pike. The first in a series of CDs featuring Richard Rodney Bennett’s piano music has recently been released on the Metronome label. Nimbus has just released Gershwin transcriptions by Earl Wild, and he is currently recording major piano works by Hans Gal. Martin Jones has performed as concerto soloist with many of the leading British orchestras, as well as in the USA and Russia, and toured Canada as soloist with the BBC Welsh Symphony Orchestra. Performances include Shostakovich’s Concerto No 1 in Central and South America with the London Festival Orchestra, a regional tour playing Rachmaninov’s Paganini Rhapsody and Gershwin’s Rhapsody in Blue with the Hallé Orchestra, the Britten Piano Concerto in St Petersburg, the Schoenberg Piano Concerto with the Adelaide Symphony Orchestra, Scharwenka’s Piano Concerto No 1 in the USA, and Brahms Concerto No 1 with the Oman Symphony Orchestra. This season he has performance Mozart K491 with the London Festival Orchestra, and Rachmaninov’s Rhapsody on a theme of Paganini with the Royal Scottish National Orchestra. His performance repertoire, as well as encompassing most of the standard works for piano, also includes unusual concertos such as the Busoni Concerto, which he performed with the BBC Symphony Orchestra and Norman Del Mar. He has also championed the music of British composers and has performed concertos by Britten, Benjamin, Mathias, McCabe and Lambert. He gave the first performance of the revised version of Alun Hoddinott’s Third Concerto at the 1974 BBC Promenade Concerts, and recorded Hoddinott’s Second Concerto with Andrew Davis and the Royal Philharmonic Orchestra for Decca. Martin Jones has given recitals throughout Great Britain, and as well as regular broadcasts for BBC Radio 3, he has given recitals for Brussels Radio, RTE in Dublin, DeutschlandRadio in Berlin and ABC in Australia. 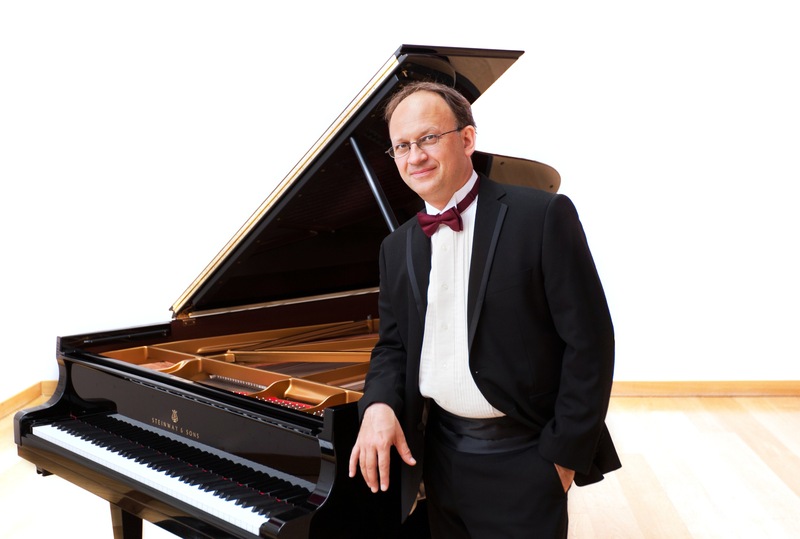 In the USA he has served as jury member on a number of international piano competitions, and performed in New York, Washington, Florida, Tennessee, Louisiana, Texas, Utah, Wisconsin and California. In Los Angeles he gave a recital as part of the 1994 UK/LA Celebration of British Arts, which was broadcast live on KUSC Radio. He gave the world premiere of Ravelled Threads by American composer, Wendy Carlos in New York. In 1996 he became the first major British artist to give a solo recital in Ekaterinburg, Russia. Recent highlights include a recital at the Adelaide Festival, a programme of Percy Grainger at the Eifeler Musiktage in Germany, and the complete Iberia of Albéniz at London’s South Bank Centre. Martin Jones jouit d’une grande estime depuis 1968, lorsqu’il a attiré un renom international en gagnant le prix à la mémoire de Dame Myra Hess. La même année il a debuté à la Queen Elizabeth Hall à Londres et Carnegie Hall à New York, et depuis lors il joue régulièrement des concerts et des récitals aux deux côtés de l’Atlantique. Il a beaucoup enregistré chez Nimbus Records, y compris les oeuvres complètes pour piano solo de Mendelssohn, Brahms, Debussy, Percy Grainger, Karol Szymanowski (nommé le meilleur enregistrement instrumental de l’année 1996 par le magazine espagnol ‘CD Compact’), Stravinsky, Korngold, et les sonates d’Alun Hoddinott. Récemment il a enregistré plusieurs maîtres de piano espagnols et le deuxième volume de cette série a reçu le prix Classical Indie de l’Association de Musique Indépendante en 2000. A la bande sonore du film ‘Howards End’ Martin Jones a joué la ‘Bridal Lullaby’ et ‘Mock Morris’ de Percy Grainger. Il a enregistré aussi des oeuvres pour piano de Grainger, Richard Addinsell, Max Reger, Richard Rodney Bennett, George Gershwin et Hans Gal. Martin Jones a joué comme soliste avec plusieurs orchestres célèbres au Royaume-Uni, aux Etats-Unis et en Russie, et il a fait une tournée au Canada avec le BBC Welsh Symphony Orchestra. Il a interpreté le premier concerto de Shostakovich en Sud-Amérique, les concertos pour piano de Benjamin Britten à Saint-Pétersbourg et d’Arnold Schoenberg à Adelaide, et le premier concerto de Brahms en Oman. Cette saison il a joué le concerto de Mozart K491 avec le Festival Orchestra de Londres, et la ‘Rhapsodie sur un thème de Paganini’ de Rachmaninoff avec le Royal Scottish National Orchestra. Le répertoire de Martin Jones comprend la plupart des oeuvres classiques pour piano et embrasse aussi des concertos moins connus comme celui de Ferrucio Busoni, qu’il a joué avec le BBC Symphony Orchestra dirigé par Norman del Mar. Il s’est fait le champion de compositeurs britanniques en interpretant des concertos de Britten, Benjamin, Mathias, McCabe et Lambert. Il a joué le troisième concerto de Hoddinott dans un BBC Promenade Concert en 1974 et il a enregistré son deuxième concerto avec le Royal Philharmonic Orchestra sous le bâton d’Andrew Davis. Martin Jones a donné des récitals partout en Grande-Bretagne et plusieurs émissions pour la BBC, ainsi qu’à la Radio Bruxelles, RTE à Dublin, Deutschland Radio à Berlin et ABC en Australie. Aux Etats-Unis il a été membre du jury pour plusieurs concours internationaux de piano, et il a joué à New York, Washington , Florida, Tennessee, Louisiana, Texas, Utah, Wisconsin et Californie. A New York il a donné la première mondiale de ‘Ravelled Threads’, de l’américaine Wendy Carlos. Parmi ses engagements récents il a donné un récital au festival d’Adelaide, un programme de la musique de Percy Grainger en Allemagne et ‘Iberia’ d’Albeniz à Londres. Ronan O’Hora Born in Manchester in 1964, Ronan O’Hora studied with Professor Ryszard Bakst at the Royal Northern College of Music, where he won several awards, including the Dayas Gold Medal and the Silver Medal of the Worshipful Company of Musicians. In 1985 he won the Stefania Niekrasz Prize, awarded every five years to an outstanding exponent of Chopin. Ronan O’Hora has performed extensively throughout the world, playing with such orchestras as the London Philharmonic, Philharmonia, BBC Symphony, Royal Philharmonic, English Chamber Orchestra, Academy of St Martin-in-the-Fields, Indianapolis Symphony, Zurich Tonhalle, Netherlands Radio Chamber Orchestra, Philharmonia Hungarica, Brno Philharmonic, Winnipeg Symphony, Florida Philharmonic and Queensland Philharmonic. He has performed in every major country in Europe as well as in the USA, Canada, Australasia and South Africa. He has appeared at many of the most prestigious music festivals, including Salzburg, Gstaad, Ravinia, Montpelier, Bath, Harrogate and Brno. Television and radio performances throughout the world include a televised recital at the Chopin Society in Warsaw, a televised performance of Beethoven’s 4th Piano Concerto with the Netherlands Radio Symphony, two performances of Mozart chamber music for BBC TV, as well as over one hundred concerts on BBC Radio 3. Ronan O’Hora has made many highly acclaimed recordings over recent years for EMI, Hyperion, Virgin Classics, Tring International, Dinemic and Fone . These include concertos by Mozart, Grieg and Tchaikowsky, and solo repertoire by Schubert Brahms, Debussy, Schumann, Beethoven, Chopin, Mozart, Mendelssohn and Satie, as well as chamber music by Faure, Britten, Debussy, Dvorak and Mozart, amounting to a discography of over thirty CDs. 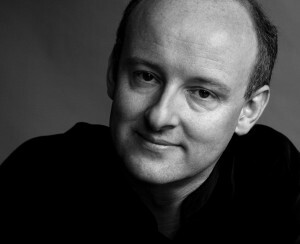 In recent seasons Ronan O’Hora has performed at the Salzburg Festival, the Kennedy Centre in Washington, and Sydney Opera House, in addition to tours of USA, Italy, Switzerland, Germany, Australia and New Zealand. Future plans include further CD recordings, and concerts in Europe and USA, in addition to numerous concerto and recital performances throughout the UK. 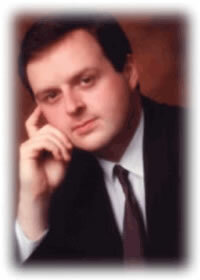 Ronan O’Hora was appointed Head of Keyboard Studies at the Guildhall School of Music and Drama in September 1999. Né à Manchester en 1964, Ronan O’Hora a fait ses études avec le professeur Ryszard Bakst au Royal Northern College of Music, où il a gagné plusieurs prix, y compris la Dayas Médaille d’Or et la médaille d’argent de la Worshipful Company of Musicians. En 1985 il a gagné le prix Stefania Niekrasz, conféré tous les cinq ans à un interprète exceptionnel de la musique de Chopin. Ronan O’Hora a joué partout dans le monde avec des orchestres célèbres comme le London Philharmonic, Philharmonia, BBC Symphony, Royal Philharmonic, English Chamber Orchestra, Academy of St Martin in the Fields, Indianapolis Symphony, Zurich Tonhalle, Netherlands Radio Chamber Orchestra, Philharmonia Hungarica, Brno Philharmonic, Winnipeg Symphony, Florida Philharmonic et Queensland Philharmonic. Il a joué dans la plupart des pays de l’Europe, aux Etats-Unis, au Canada, en Australasie et en Afrique du Sud, et il a participé à plusieurs festivals de musique prestigieux, y compris ceux de Salzburg, Gstaad, Ravinia, Montpellier, Bath, Harrogate et Brno. Parmi ses émissions à la télévision et à la radio il a donné un récital télévisé pour la Société Chopin à Varsovie, il a interpreté le quatrième concerto pour piano de Beethoven à la télévision aux Pays-Bas, il a joué de la musique de chambre de Mozart à la BBC Television et il a donné plus de cent concerts à la BBC Radio Three. Ronan O’Hora a reçu des applaudissements pour ses enregistrements chez EMI, Hyperion, Virgin Classics, Tring International, Dinemic et Fone: des concertos de Mozart, Grieg et Tchaikovski, des oeuvres pour piano solo de Schubert, Brahms, Debussy, Schumann, Beethoven, Chopin, Mozart, Mendelssohn et Satie, ainsi que la musique de chambre de Fauré, Britten, Debussy, Dvorak et Mozart. Sa discographie comprend plus de trente CDs. Pendant ces dernières années Ronan O’Hora a joué au festival de Salzburg, au Kennedy Centre à Washington et à l’Opéra de Sydney, et il a fait des tournées aux Etats-Unis, en Italie, à la Suisse, en Allemagne, en Australie et à la Nouvelle-Zélande. Ses projets d’avenir comprennent plusieurs enregistrements, des concerts en Europe et aux Etats-Unis et un grand nombre de récitals et de concertos partout dans le Royaume-Uni. Depuis 1999 Ronan O’Hora est directeur des études de piano à la Guildhall School of Music à Londres. Internationally renowned pianist William Fong regularly performs with the world’s leading orchestras, and in recital. In the UK he has performed at all London’s major venues and his concerts have been broadcast on BBC Radio 3, Classic FM, and BBC television. International performances have taken place in New York, Moscow and St Petersburg (under the auspices of the Sviatoslav Richter Foundation), and across Europe and Australia. His concerts have also been broadcast on television and on radio in Europe and the US. In 2008, William was given support by The Arts Council to travel to China to give a recital and lead a week of master classes in Shanghai. William first came to international attention in 1984 when he won the first prize, gold medal and Rosa Sabater prize at the Concurso Internacional de Piano in Jaén, Spain. This proved to be the first of many such successes, to which he has since added the Busoni, Cleveland, Iturbi, and Scottish International Competitions. St. John’s Smith Square was the venue for William’s London concerto début with the Philharmonia Orchestra, which took place soon after that first win. William is also a chamber musician, and has performed with ensembles such as the Brodsky Quartet and members of Guildhall Strings. He has also collaborated with singers Steve Davislim and James Rutherford and continues to work with young artists who have an exciting commitment to chamber music. When he is not performing, William is an active and successful teacher who is in demand for master classes and adjudication in the UK and overseas. He is also a Professor at the Royal Academy of Music and Head of Keyboard at the Purcell School for Young Musicians – one of very few international specialist music schools for outstandingly talented young musicians from 9 – 18. Most recently, a pupil of William Fong became one of a very few elite students to gain a full scholarship to the Curtis Institute of Music in Philadelphia. Le pianiste internationalement renommé William Fong joue régulièrement avec la plupart des grands orchestres du monde et en récitals. Il se produit en soliste de New York à Moscou et Saint Petersburg (sous la tutelle et l’égide de la fondation Sviatoslav Richter). Ses interprétations musicales lui valent un public enthousiaste tant aux États-Unis qu’en Europe et en Australie. Ses concerts et récitals ont été diffusés en direct à la télévision et à la radio aux États-Unis ainsi qu’en Europe. Encouragé à concourir à Jaén, Espagne: William remporte le Premier Prix, le Diapason d’Or et le Prix prestigieux de Rosa Sabater du Concours international pour piano en 1984! À la suite de cette distinction, William débute à la Place St. John Smith de Londres ou il joue un concerto pour piano avec L’Orchestre philharmonique. Il obtient d’autres immenses succès, lors de ses débuts au Concours de Jaén et figure au fils des ans en première place des concours internationaux de Busoni, Cleveland, Iturbi et d’Écosse. William interprète au fils des ans de la musique de chambre avec le Quatuor Brodsky et donne des récitals avec l’ensemble à cordes à la Guildhall School of Music à Londres. Très sollicité comme accompagnateur, il a travaillé avec les chanteurs professionnels Steve Davislim et James Rutherford. Il accompagne également des jeunes artistes, qui s’engagent avec passion dans la musique de chambre. Lorsqu’il quitte le clavier, c’est pour se consacrer à l’enseignement et juger les concours nationaux et internationaux. Il s’est acquis la solide réputation de professeur eminent. Il est actuellement titulaire de la chaire de musique de l’Académie Royale et le Principal du clavier à l’Ecole Purcell. À l’âge de neuf à dix-huit ans les jeunes artistes très exceptionels entrent à l’École internationale et se consacrent exclusivement à la musique. Plus récemment, un jeune élève qui travaille sous la direction de William Fong obtient grâce à son appui une bourse pour l’Insitut de Musique Curtis à Philadelphie. After studying at the Royal College of Music and completing her training in the USA and Paris, Vanessa was awarded many scholarships and prizes from international competitions. She has performed as a soloist with international orchestras and those in the UK including the Royal Liverpool Philharmonic Orchestra, BBC Concert Orchestra, BBC Welsh Symphony Orchestra, Bournemouth Sinfonietta, working with many leading conductors. Vanessa’s recital work has taken her to Europe, USA and to the Far East, as well as many festivals within the UK, including Cheltenham, Harrogate and Huddersfield. Her interest in Bach led to a performance of the complete 48 Preludes and Fugues at the Lichfield International Festival in 1992, the performances being given over four consecutive evenings. She has broadcast for over 30 years for BBC Radio 3 and has also broadcast extensively on the BBC World Service and BBC Radio 4. She has been a juror for international competitions in Serbia, New Zealand, and Hong Kong and has adjudicated the national keyboard final of the BBC Young Musician of the Year, which was broadcast on BBC television. In 2007 she was an advisor to the BBC TV programme “Classical Star”. 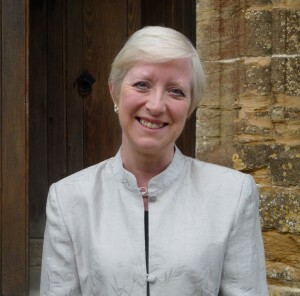 Since September 2005 she has been Head of Keyboard at the Royal College of Music having been previously a professor of piano at the Royal Academy of Music for fourteen years where she was made an Honorary Associate in 1997. Vanessa frequently travels to give masterclasses, not only in UK conservatoires and specialist music schools, but also to such institutions as Hong Kong Academy for the Performing Arts, Tokyo College of Music and China Conservatory Beijing, Seoul National University. She is also an official advisor to Lang Lang for his music school in Shenzhen, China. With many international piano competition prize-winners amongst her students, Vanessa was nominated for the FRCM, Fellowship of the Royal College of Music, for outstanding services to music which was conferred on her by HRH Price of Wales in May 2010. In September 2011, Vanessa was appointed to the role of Personal Chair at the RCM, which has given her the title of Professor of International Keyboard Studies. Après ses études au Royal College of Music à Londres, aux Etats-Unis et à Paris, Vanessa Latarche a gagné plusieurs bourses et plusieurs prix aux concours internationaux. Au cours d’une carrière pleine de variété, elle a joué comme soliste avec des orchestres renommés et des chefs d’orchestre célèbres, y compris le Royal Liverpool Philharmonic, BBC Concert Orchestra, BBC Welsh Symphony Orchestra et Bournemouth Sinfonietta. Elle a joué des récitals en Europe, aux Etats-Unis et en Extrême-Orient, ainsi qu’aux festivals de Cheltenham, Harrogate et Huddersfield au Royaume-Uni. S’intéressant vivement à la musique de J.S. Bach, elle a donné une interprétation de tous les 48 Préludes et Fugues en quatre soirées au Festival de Lichfield en 1992. Pendant plus de trente ans elle a participé à plusieurs émissions pour la BBC Radio 3, World Service et Radio 4. Elle a fait partie du jury aux concours internationaux en Serbie, en Nouvelle-Zélande et à Hong Kong, et elle a jugé la finale du concours ‘BBC Young Musician of the Year’ pour les jeunes pianistes, télévisée par la BBC. En 2007 elle était conseillère à la BBC TV pour leur programme ‘Classical Star’. Depuis 2005 elle dirige les études de piano au Royal College of Music à Londres, après avoir été professeur de piano pendant 14 ans à la Royal Academy of Music, où elle est associée honoraire depuis 1997. Vanessa voyage fréquemment pour donner des cours de maître non seulement dans des conservatoires et des écoles de musiques au Royaume-Uni, mais aussi chez la Hong Kong Academy for the Performing Arts, Tokyo College of Music, China Conservatory Beijing et Seoul National University. Elle est aussi conseillère officielle au pianiste célèbre Lang Lang pour son école de musique à Shenzhen en Chine. Comme un grand nombre de ses étudiants ont gagné des prix aux concours internationaux, Vanessa Latarche a été nommée ‘Fellow of the Royal College of Music’ pour ses services exceptionnels à la musique, un honneur accordé par S.A.R. le Prince de Galles en 2010. Au mois de septembre 2011 Vanessa a été nommée à une chaire personnelle au Royal College of Music à Londres, où elle est devenue Professeur d’études internationaux de piano. Susan Tomes is a leading UK pianist, a rare example of a woman who has achieved several decades as an acclaimed chamber music pianist. In 2013 she was awarded the Walter Wilson Cobbett Medal by the Worshipful Company of Musicians for distinguished services to chamber music. Born in Edinburgh, Susan was the first woman to study music at King’s College, Cambridge. She has been at the heart of three internationally admired ensembles: Domus, the Gaudier Ensemble, and the Florestan Trio, winners of the Royal Philharmonic Society Award in 2000. With these groups she has performed and broadcast all over the world. She has made over fifty CDs, many of which have become benchmark recordings, winning Gramophone Awards, Classic CD awards, Diapasons d’Or in France, and Deutsche Schallplattenpreise. At Hyperion Records’ 20th anniversary, Gramophone wrote that ‘Susan Tomes’s playing is always magnetic and concentrated whatever the repertory, a rare gift which she consistently employs not for her own glorification but in the cause of corporate music-making.’ Her recital repertoire focuses particularly on French music, Mozart, Schubert and Schumann; as a soloist, she has recorded Mozart piano concertos and 1920s piano music by the Savoy Hotel’s Billy Mayerl. As well as performing, Susan is a champion of the art of the chamber music pianist, illuminating the role and promoting the status of the collaborative pianist over many years in radio talks, newspaper and magazine articles, keynote speeches, seminars, and masterclasses. She is the author of three acclaimed books on performance issues: Beyond the Notes (2004), A Musician’s Alphabet (2006) and Out of Silence (2010) which was translated into Japanese by pianist Noriko Ogawa and chosen by a Japanese magazine as one of the best books of 2012. Susan’s books are studied on several university courses including those of Oxford, Cambridge and The Open University, and her blog on www.susantomes.com has built up a loyal readership. She has served on competition juries in Trondheim, Glasgow and Graz, and in 2013 was on the jury of the prestigious ‘Internationaler Wettbewerb der ARD’ in Munich. She is a tutor at the European Chamber Music Academy, gives masterclasses in all the UK’s principal music colleges, and holds her own masterclasses every year in London, attracting international chamber groups. She is the solo pianist on a record made by the Royal Scottish National Orchestra to celebrate Creative Scotland 2012 with the gift of a special CD for every child born in Scotland that year. Susan Tomes Susan Tomes est une pianiste bien connue au Royaume-Uni, un rare exemple d’une femme qui a trouvé un grand succès depuis plusieurs années comme pianiste de la musique de chambre. En 2013 la Worshipful Company of Musicians lui a accordé leur Médaille Walter Wilson Cobbett pour ses services distingués à la musique de chambre. Née à Edimbourg, Susan était la première femme à étudier la musique à King’s College, Université de Cambridge. Elle a travaillé au coeur de trois ensembles d’un renom international: Domus, Ensemble Gaudier, et le Trio Florestan qui a gagné le prix de la Royal Philharmonic Society en 2000. Avec ces trois groupes elle a joué des concerts et participé aux émissions partout dans le monde. Elle a enregistré plus de cinquante disques compact, dont plusieurs ont gagné des prix de Gramophone et de Classic CD, des Diapasons d’Or en France et Deutsche Schallplattenpreise en Allemagne. A l’occasion du vingtième anniversaire de Hyperion Records, le critique du journal Gramophone a écrit: ‘L’interprétation de Susan Tomes est toujours magnétique et concentrée quel que soit le répertoire, un don rare qu’elle emploie non pour sa gloire personnelle mais dans le but de faire de la musique collective.’ Son répertoire contient surtout de la musique française, de Mozart, de Schubert et Schumann; comme soliste, elle a enregistré des concertos pour piano de Mozart et des oeuvres pour piano de Billy Mayerl, le pianiste célèbre du Savoy Hotel à Londres pendant les années 1920. En plus de ses concerts, Susan s’est fait le champion de l’art du pianiste de la musique de chambre, et depuis des années elle illumine le rôle et avance le prestige des pianistes collaboratifs dans ses émissions à la radio, ses articles de journal et de périodique, dans des discours, des colloques et des cours de maître. Elle a écrit trois livres au sujet de l’interprétation: Beyond the Notes (2004), A Musician’s Alphabet (2006) et Out of Silence (2010); ce dernier titre a été traduit au japonais par la pianiste Noriko Ogawa et choisi par un périodique japonais comme un des meilleurs livres de 2012. Les livres de Susan Tomes sont étudiés dans plusieurs universités dont Oxford, Cambridge et Open University, et son blog à www.susantomes.com a attiré un grand nombre de lecteurs fidèles. Elle a été membre du jury pour des concours à Trondheim, à Glasgow et à Graz, et en 2013 elle était membre du jury pour le prestigieux ‘Internationaler Wettbewerb der ARD’ à München. Elle enseigne à l’Académie européenne de la musique de chambre, elle donne des cours de maître dans tous les conservatoires de musique principaux du Royaume-Uni, et pour ses propres cours de maître chaque année à Londres elle attire des groupes internationaux. Elle joue comme soliste avec le Royal Scottish National Orchestra pour un disque qui fête ‘Creative Scotland 2012’ en offrant un disque spécial à chaque enfant né au cours de l’année en Ecosse. James Lisney enjoys a rich musical life. His musical integrity and pianistic command fuel a career that takes him seamlessly from concerto and recital soloist – to chamber musician, song accompanist and pianist director. Initiatives, such as his Schubertreise series at London`s South Bank Centre, his extensive Beethoven Project or the recording company Woodhouse Editions, provide a platform for his wide-ranging musical sympathies. Following study with Jean Murphy, Phyllis Sellick and John Barstow, James Lisney made his Wigmore Hall debut in 1986. Following further recognition from the Young Concert Artists Trust in London, James Lisney commenced a career that has taken him throughout Europe and the Americas, performing in many of the world`s most important venues. Recent seasons have seen recitals at the Leipzig Gewandhaus, the Amsterdam Concertgebouw, the Berlin Philharmonie and a residency at the Carnegie Hall in New York. His recordings – of music ranging from Schubert, Beethoven, Beethoven and Tchaikovsky to Beach, Bjornsson and Scharwenka – have gained recognition from colleagues and plaudits from the recording industry; he is currently undertaking an ambitious project to record the major works of Schubert in a series of recital programmes that will also cover a wide range of complimentary repertoire and include collaborations with many major artists. Chief amongst Lisney`s pianistic idols is Claudio Arrau – it is, however, the inspiration of the concert philosophy of Sviatoslav Richter that has shaped his belief in the presentation of piano, chamber music and song in intimate settings and in non-standard formats. `Small is beautiful` is undoubtedly the way forward for Lisney: a re-balancing of the artistic equation so that classical music is experienced within communities, with audiences who feel that they are an integral part of the occasion and where the impact of great music is not diluted by formality or overly large performance spaces. James Lisney has a deep involvement with music education and has given master classes throughout the United Kingdom and in Romania, Ireland, France and the United States. James Lisney profite d’une vie musicale très variée. Sa musicalité et sa maîtrise du piano l’amène sans interruption du concerto au récital, de la musique de chambre à l’accompagnement du chant. Des initiatives comme la série ‘Schubertreise’ au South Bank Centre à Londres, son ‘Beethoven Project’ et sa marque d’enregistrement ‘Woodhouse Editions’ lui fournissent des occasions de faire preuve de ses talents divers. Après ses études chez Jean Murphy, Phyllis Sellick et John Barstow, James Lisney a débuté à la Wigmore Hall à Londres en 1986, et avec le soutien du Young Concert Artists Trust il a commencé une carrière internationale, au cours de laquelle il a joué dans plusieurs des principales salles de concert en Europe et en Amérique. Pendant les dernières années il a donné des récitals au Leipzig Gewandhaus, Amsterdam Concertgebouw, Berlin Philharmonie et Carnegie Hall à New York. Ses enregistrements – des oeuvres de Schubert, Beethoven et Tchaikovsky jusqu’à la musique de Beach, Bjornsson et Scharwenka – ont été reconnus par ses collègues et loués par les critiques; actuellement il entreprend un projet ambitieux d’enregistrer les oeuvres principales de Schubert dans une série de récitals qui comprendra un grand choix de répertoire complémentaire, en collaboration avec plusieurs artistes célèbres. Pour James Lisney, sa grande idole du piano est Claudio Arrau; cependant c’est la philosophie musicale de Sviatoslav Richter qui a formé sa préférence pour la présentation de la musique de piano, la musique de chambre et le chant dans un cadre intime et non traditionnel. Pour lui, ‘small is beautiful’ et il cherche une modification de la pratique artistique pour que l’expérience de la musique classique puisse se faire au coeur des communautés, où le public devient une partie intégrale de l’événement et où l’effet de la musique n’est pas diminué par la formalité de l’occasion, ni par les espaces trop grandes. James Lisney se consacre aussi à l’éducation musicale et il a donné des cours de maître partout dans le Royaume-Uni, en Roumanie, en Irlande, en France et aux Etats-Unis. 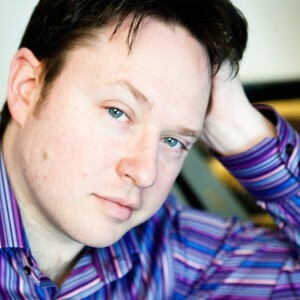 Simon Nicholls is a pianist and teacher of international experience. He has played in Britain, Europe, India, Africa and America, and has held teaching posts for piano at the Yehudi Menuhin School, the Royal College of Music, London, and Birmingham Conservatoire. He has taught at many summer schools in Hereford, Hindhead and Dartington, and given masterclasses in Moscow. 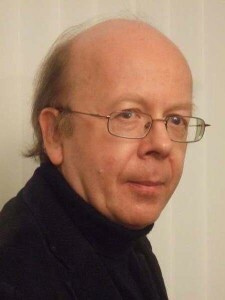 Simon Nicholls has undertaken a special study of the music and thought of Alexander Skryabin, and has made many research visits to Moscow, discussing the music with Russian experts and examining original sources. His writings on this subject have been published in England, Russia and America, and his annotated translation with Michael Pushkin, Skryabin: Notebooks will be published by Toccata Press in 2015. He has been invited to take part in the conference in Moscow in April 2015 which will mark the centenary of the death of Skryabin. Simon Nicholls est un pianiste et professeur d’expérience internationale. Il a fait ses études de piano avec John Barstow et Kendall Taylor au Royal College of Music à Londres, où il a gagné plusieurs prix. Pendant dix ans il a enseigné le piano au Yehudi Menuhin School et pendant vingt ans il a été professeur au Royal College of Music, et au Birmingham Conservatoire. Il a souvent enseigné aux stages d’été à Dartington, Hindhead et Hereford, et il a donné des cours de maître à Moscou. Comme soliste et accompagnateur Simon Nicholls donne souvent des récitals à Londres et des émissions à la radio et à la télévision en Grande-Bretagne et à l’étranger. Il a joué des concerts aux Etats-Unis (Lincoln Center à New York), partout en Europe, en Inde et en Afrique. Il a enregistré des oeuvres de Franz Schubert et de Benjamin Britten, et ses compositions paraissent chez Faber Music. Simon Nicholls a entrepris une étude particulière de la musique et de la pensée d’Alexandre Skryabin, et il a poursuit des recherches approfondies au cours de plusieurs visites à Moscou pour discuter de la musique avec des spécialistes russes et pour examiner les manuscrits. Ses écrits au sujet de Skryabin ont paru en Angleterre, en Russie et aux Etats-Unis, et sa traduction annotée avec Michael Pushkin des Cahiers de Skryabin va paraître en 2015. Au mois d’avril il participera au colloque qui aura lieu à Moscou pour marquer le centenaire de la mort du compositeur. 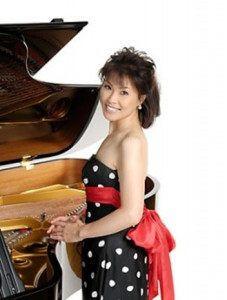 Noriko Ogawa was awarded third prize in the 1987 Leeds International Piano Competition and has since achieved considerable renown in Europe, America and in her native Japan where she is a national celebrity. In 1999 Noriko Ogawa was awarded the Japanese Ministry of Education’s Art Prize in recognition of her outstanding contribution to the cultural profile of Japan throughout the world and she has just been awarded the Okura Prize for her outstanding contribution to music in Japan. In 2004 she was appointed as one of the advisors for a new concert hall in her hometown in Japan, the MUZA Kawasaki Symphony Hall. Here she remains much in demand, appearing at major arts festivals, performing regularly with the major orchestras and making regular radio and television broadcasts for both NHK and Nippon television. Following her success at Leeds, Ogawa gained a devoted following. Ogawa records regularly for the BBC as recitalist and soloist, gives chamber recitals and appears with all the major UK, European, Japanese and US orchestras. Ogawa is also renowned as a recitalist and chamber musician; concerts have taken her all over the world and included a tour of Japan with the Berlin Philharmonic Wind Ensemble and the leader of the Vienna Philharmonic, Rainer Honeck. 2001 saw the launch of her piano duo with renowned pianist Kathryn Stott, with whom she recently completed a highly successful Japanese tour. Ogawa also collaborates with Steven Isserlis, Isabelle van Keulen, Martin Roscoe and Michael Collins. Noriko has recently completed a chamber tour in Japan with Evelyn Glennie which saw the premier of new work for two pianos and percussion, commissioned by Noriko from Yoshihiro Kanno. In November 2007, Noriko made her debut with the Orchestre National de Lille. Ogawa’s ability to communicate with audiences of all levels distinguishes her from other soloists. She introduces recitals and is sought after for presenting both on the radio (UK and Japan) and also television, recently appearing on BBC Worldwide in ‘Visionaries’ as an advocate for Takemitsu. Ogawa has written her first book (released in Japan) and is a regular columnist for the music press both here and in Japan. Ogawa regularly adjudicates major international competitions including the BBC Young Musician of the Year, The Manchester International Piano Competition, The Scottish International Piano Competition. She also has regular teaching commitments at the Guildhall School of Music and is in demand as a teacher giving masterclassess around the world including The University of Aukland, University of Waikito, Chethams International Summer School, and the London College of Music. Ogawa enjoys collaborating in education outreach exampled in her series ‘Jamie’s concerts’ for autistic children and parents. Since 1997 Noriko Ogawa has been an exclusive recording artist for BIS Records. 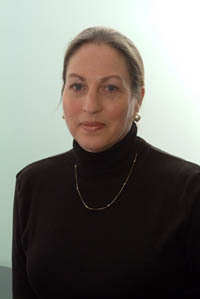 Her recordings include works by Japanese composers, including Toru Takemitsu Riverrun (awarded Editor’s Choice in the January edition of Gramophone Magazine), Rachmaninov Second and Third Piano Concertos, Mussorgsky Pictures at an Exhibition, (selected as the Critics’ Choice 1998 by BBC Music Magazine). Ogawa has also released the remaining concertos of Rachmaninov, and discs of music by Tcherepnin and Saint-Saens. Future and recent releases include Grieg Piano Concerto in A Minor with the Bergen Philharmonic, Delius music for piano duo and Graham Fitkin’s double concerto Circuit both with duo partner Kathryn Stott. Ogawa’s ongoing series with BIS is the complete solo works for piano by Debussy of which volumes one and two have been met with critical acclaim the world over, the latter winning Editor’s Choice in the March 2003 edition of Gramophone Magazine.. The recently released third volume has been met with equal admiration from critics, further establishing her profile as a Debussy expert and winning Editor’s Choice in the January 2006 edition of Gramophone Magazine. Le troisième prix du concours international pour piano est décerné à Noriko Ogawa à Leeds en 1987. Après ses débuts européens, elle se forge rapidement une réputation considérable en Europe, aux États-Unis et au Japon. Native du Japon, elle y est une célébrité nationale. Très sollicitée en Grande Bretagne et invitée habituelle des principaux festivals d’été, elle a joué avec la plupart des grands orchestres britanniques et ses concerts sont diffusés régulièrement à la télévision et à la radio. Ses succès notamment à Leeds lui valent un public enthousiaste et fidèle. Elle donne des récitals de piano et se produit en soliste régulièrement devant les caméras de la BBC et auprès d’un grand nombre d’orchestres internationaux de pointe. Elle donne aussi des récitals de la musique de chambre et est invitée autour du monde. Elle effectue une tournée en Japon avec l’Ensemble philharmonique et instrumental à vent de Berlin ainsi que l’Orchestre philharmonique de Vienne, sous la direction de Rainer Honeck. En 2001 elle a fait des débuts en duo avec la pianiste de grande renommée Kathryn Stott. L’autres collaborateurs et accompagnateurs fréquents, tous musiciens de distinction sont Steven Isserlis, Isabelle van Keulen, Martin Roscoe et Michael Collins. Plus récemment au Japon, Noriko est aux côtes de Evelyn Glennie pour une série de concerts d’une nouvelle oeuvre pour deux pianos et les percussions de Yoshihiro Kanno, qui a été commandée par Noriko. En novembre 2007 Noriko a fait ses débuts avec l’Orchestre National de Lille. Ogawa juge régulièrement tous les concours prestigieux internationaux. Elle se consacre à l’enseignement et dirige acutuellement les études de piano à la Guildhall School of Music à Londres. Très sollicitée comme pédagogue, elle donne souvent des cours de maître aux conservatoires du monde entier, incluant en Australie, en L’Extrême-Orient et en Europe. Noriko Ogawa, qui enregistre depuis l’année 1997 en exclusivité pour la compagnie BIS Records (étiquette suédoise), a plusieurs CD classiques à son actif. Elle enregistre au fil des ans plusieurs oeuvres, incluant Riverrun de Toru Takemitsu, deux concertos pour piano (concerto No 2 et 3) de Rachmaninov, les tableaux d’une exposition de Mussorgsky ainsi que l’intégrale des concertos pour piano de Rachmaninov. La musique de Tcherepnin et Saint-Saens est aussi présente dans la discographie de Noriko Ogawa. Elle enregistre le concerto en A mineur pour piano de Grieg avec l’Orchestre philharmonique de Bergen, dirigé par Ole Kristian Ruud ainsi que des oeuvres pour deux pianos de Delius et de Graham Fitkin avec l’accompagnateur et pianiste Kathryn Stott. Ogawa achève l’enregistrement de l’intégrale des pièces pour un seul piano de Debussy, dont les volumes un et deux lui valent des accolades et des critiques favorables dans la presse musicale internationale. Son enregistrement le plus récent du troisième volume a été chaleureusement accueilli par la critique et la pianiste s’impose plus comme experte en Debussy. Les volumes deux et trois lui valent la prestigieuse accolade “Choix de la rédaction de Gramaphone Magazine” en Angleterre (en mars 2003 et en janvier 2006 respectivement). Martin CousinMartin Cousin is now regarded as one of the most exceptional pianists of his generation, having been awarded 1st prize at the 2005 Ettore Pozzoli International Piano Competition (Seregno, Italy) and Gold Medal at the 2003 Royal Over-Seas League Music Competition (London). Martin has appeared regularly in the major British musical venues since graduating from the Royal College of Music, making his London solo debut at the Purcell Room in 1998. Numerous solo recitals followed, most notably at the Wigmore Hall in 2001, 2005, and 2011 and he has appeared as concerto soloist with the London Philharmonic, Halle, Royal Philharmonic, Philharmonia and BBC Concert Orchestras. Performances further afield have included tours of New Zealand, Italy, the US and concerts in Stockholm, Brussels, Toronto, Berne and The Hague. 2006 saw the release of his debut CD, Rachmaninov’s Sonata No.1 and Morceaux de Salon with SOMM Recordings, which was selected as Classical CD of the week by the Daily Telegraph. His latest disc of Rachmaninov’s Etudes-Tableaux was released in 2014 and was proclaimed ‘a landmark recording’ by the Observer with a 5-star review. Classical Source added, ‘This is one of the best solo piano records I have heard for a very long time – the more so considering it faces some pretty severe competition in the catalogues. Those who do not know these extraordinarily original masterpieces are strongly advised to acquire this disc. There is none better’. Martin is also a member of the Aquinas Piano Trio and chamber music has taken him to places such as Prague, Tokyo, Indonesia, Thailand, Zimbabwe and Barbados. Martin’s hands were featured on the big screen in the Oscar-winning film “Shine”, for the scenes involving Rachmaninov’s 3rd Concerto. 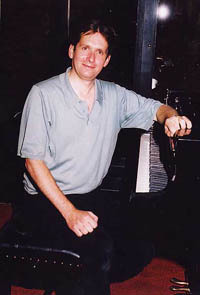 Martin’s teaching experience spans over 20 years and covers areas as diverse as masterclasses in Thailand, Indonesia and Norway, piano teaching and chamber music coaching for the RCMJD and piano teaching posts at the London Oratory School, Cardinal Vaughan Memorial School and Trinity School. He is also in demand as an adjudicator and recent engagements have included the Royal Over-Seas League Music Competition and the Chappell Piano Prize at the RCM. Considéré comme un des pianistes les plus remarquables de sa génération, Martin Cousin a gagné le premier prix au Concours International Ettore Pozzoli (Seregno, Italie, 2005) et la Médaille d’Or au Concours de Musique de la Royal Over-Seas League à Londres en 2003. Depuis ses études au Royal College of Music à Londres et son début en solo à la Purcell Room en 1998, Martin Cousin joue régulièrement aux principales salles de concert de la Grande-Bretagne. Il a donné des récitals en solo à la Wigmore Hall en 2001, 2005 et 2011 et il a joué comme soliste avec les orchestres London Philharmonic, Halle, Royal Philharmonic, Philharmonia et BBC Concert Orchestra. A l’étranger il a fait des tournées en Nouvelle-Zélande, en Italie et aux Etats-Unis et il a donné des concerts à Stockholm, à Bruxelles, à Toronto, à Bern et à La Haye. Martin Cousin est aussi membre de l’Aquinas Piano Trio, et en jouant de la musique de chambre il a voyagé à des destinations diverses comme Prague, Tokyo, Indonésie, Thaïlande, Zimbabwe et Barbados. Dans le film ‘Shine’, primé d’oscar, ce sont ses mains qui ont joué le troisième concerto pour piano de Rachmaninoff. Depuis plus de vingt ans Martin Cousin enseigne le piano au London Oratory School, Cardinal Vaughan Memorial School et Trinity School et il donne des leçons de musique de chambre au Royal College of Music. Il a donné des cours de maître en Thaïlande, Indonésie et en Norvège. Recherché comme juge, il a été membre du jury pour le Concours de Musique de la Royal Over-Seas League et pour le Prix Chappell au Royal College of Music. 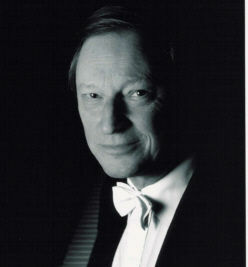 Graham’s extensive concerto repertoire has led to many engagements with leading orchestras, notably the London Philharmonic, Royal Liverpool Philharmonic, Royal Scottish National, Monte Carlo Philharmonic, Belgium National Symphony, Staatsphilharmonie Rheinlandpfalz (standing in for Martha Argerich), Cape Town Symphony, Singapore Symphony, St Louis Symphony and the New York Chamber Symphony. He has worked with such conductors as Sir Charles Groves, Alexander Lazarev, Bernhard Klee, Barry Wordsworth, Paul Daniel and Marin Alsop. Graham’s discography includes CDs of works by Scriabin, Gershwin, Macmillan and a live recital CD from Los Angeles. He has broadcast on BBC Radio and National Public Radio in the USA. Graham studied with Professor Ryszard Bakst at both Chetham’s School of Music and the RNCM. He became the first artist to win both the YCA Inc. auditions in New York and the YCAT auditions in London. He has also won first prizes in the Dudley National Piano Competition and the Jaen International Piano Competition in Spain. Since 2007 he has held the position of Head of Keyboard Studies at the Royal Northern College of Music and the Artistic Director of the RNCM James Mottram International Piano Competition. He has previously been a member of the jury of the Horowitz Competition in Ukraine, Gilels Competition in Odessa, Rina Sala Gallo Competition in Monza, Jaen International Piano Competition in Spain and the YCAT auditions in London. Graham has taught at many summer schools most notably Musicfest Perugia in Italy, the Colburn Festival Academy in Los Angeles and the Chetham’s International Piano Summer School in Manchester. Next summer he will teach on the Beijing International Music Festival and Academy. Graham Scott s’est établi comme un des pianistes les plus éminents du Royaume-Uni. Acclamé par Gramophone Magazine comme ‘un talent exceptionnel’, il a joué partout dans le monde: à New York, Washington DC, Los Angeles, Tokyo, Beijing, Paris, et dans toutes les salles de concert principales à Londres (Wigmore Hall, Royal Festival Hall, Queen Elizabeth Hall et Barbican Centre). Muni d’un répertoire étendu, il a joué plusieurs concertos avec les orchestres les plus célèbres, y compris London Philharmonic, Liverpool Philharmonic, Royal Scottish National, Monte Carlo Philharmonic, Belgium National Symphony, Staatsphilharmonie Rheinlandpfalz, Cape Town Symphony, Singapore Symphony, St Louis Symphony et New York Chamber Symphony. Il a travaillé avec des chefs d’orchestre comme Sir Charles Groves, Alexander Lazarev, Bernhard Klee, Barry Wordsworth, Paul Daniel et Marin Alsop. La discographie de Graham Scott comprend des oeuvres de Scriabin, Gershwin et Macmillan et un CD d’un récital en direct de Los Angeles. Il a fait plusieurs émissions chez BBC Radio et National Public Radio aux Etats-Unis. Graham a fait ses études avec Professor Ryszard Bakst à Chetham’s School of Music et au Royal Northern College of Music. Il était le premier pianiste à réussir aux auditions et du YCA (Young Concert Artists) à New York et YCAT (Young Classical Artists Trust) à Londres. Il a aussi gagné le premier prix au Dudley National Piano Competition et au concours international de Jaen en Espagne. Depuis 2007 il est directeur des études de piano au Royal Northern College of Music et il dirige le James Mottram International Piano Competition. Il a été membre du jury du concours Horowitz en Ukraine, du concours Gilels à Odessa, du concours international de Jaen et de YCAT à Londres. Graham a enseigné à plusieurs stages d’été, notamment Musicfest Perugia en Italie, Colburn Festival Academy à Los Angeles et le stage international de piano de Chetham’s à Manchester. Cette année il va enseigner au Festival International de Musique à Beijing.